Shampagne L. Robinson - LaFountain & Wollman P.C. Attorney Shampagne Robinson, of Waltham, Massachusetts, is an Associate Attorney at LaFountain & Wollman, P.C. Attorney Robinson graduated with a Bachelor of Science Degree in Economics and Government from Suffolk University in Boston, MA in 2015. Attorney Robinson attended law school at Roger Williams University School of Law in Bristol, RI. During her time in law school, she interned with the Honorable John J. McConnell in the United States District Court for the District of Rhode Island. During her time with Judge McConnell, she worked on numerous criminal and civil litigation cases, including real estate disputes and personal injury. Additionally, Attorney Robinson was a student attorney for the Rhode Island Public Defender’s Office in Providence, RI, representing indigent clients in criminal proceedings. 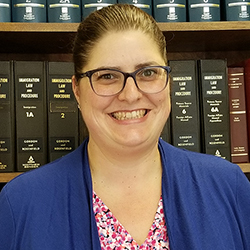 During her third year of law school, Attorney Robinson worked in the law school’s criminal defense clinic, where she represented clients in their criminal and immigration matters. Attorney Robinson took and passed the New York Bar Exam in February of 2018 during her third year of law school prior to graduating. After sitting for the exam, she went on to work at the Brooklyn Defender Services in Brooklyn, NY as a criminal defense student attorney. She then returned to Rhode Island in May of 2018 to graduate and receive her Juris Doctorate degree. 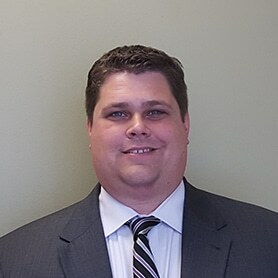 Attorney Robinson was formally sworn in as a member of the New York Bar in June of 2018. She was also formally sworn in as a member of the Massachusetts Bar in December of 2018. 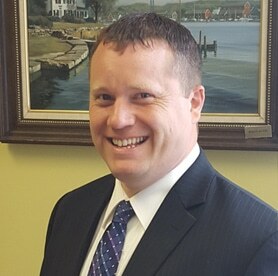 Attorney Robinson is the newest member of LaFountain & Wollman, P.C. and her main practice areas include but are not limited to residential and commercial real estate transactions and litigation.